You searched for ESL programs in Massachusetts. 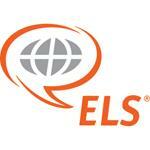 Below you will find a listing of all ESL programs in Massachusetts - click on any program to view more information, or refine your search within Massachusetts by city. Most states have many English as a Second Language programs, with schools and locations offering ESL programs and locations to suit every need. Please use the form below to refine your search even further and find an ESL program in Massachusetts that is right for you! The Center for English Language and Orientation Programs (CELOP) is the intensive English language program at Boston University. We have been teaching English language and culture to international students since 1975. Located in Boston, Massachusetts, it is among the world's leading English language centers. One low price for unlimited TOEFL tutoring until you pass the exam! TOEFL Guarantee! TALK Boston is located in the center of Boston’s most dynamic and exciting area. Our center is within walking distance of Newbury Street and Copley Square, and just steps away from the Boston subway system, which locals call "the T."
Located close to downtown Boston Were a community based ESL program offering classes in English, Computer, and TOEFL at an affordable price located in the heart of Boston. Please e-mail or call for more information.